Worried about your forehead wrinkles? Learn how to get rid of forehead lines quickly with these beauty treatments. In 2017, nearly 1.8 million Americans opted to go under the knife to change what they liked least about themselves, however, in the world of wrinkles, surgery isn’t a necessity. 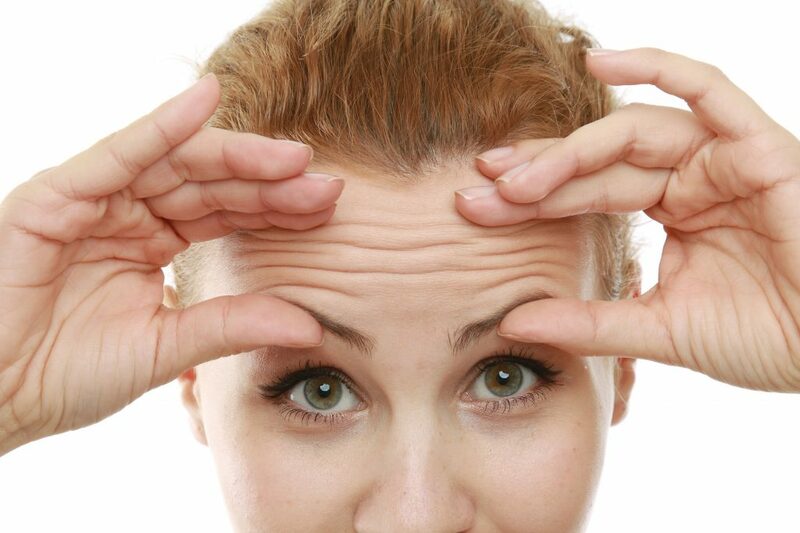 Do you wish you could eradicate those wrinkles on your forehead? Fortunately, thanks to new improvements in beauty treatments, it’s possible to get rid of fine lines and wrinkles. Read on to learn more about how to get rid of forehead wrinkles so you can get back to loving the skin you’re in! As we grow older, signs of aging become more prominent. This is often most visible in our faces. Our faces are almost always exposed to harmful UV rays. Add to that the expressive nature of our faces and it’s easy to see why wrinkles are nearly inevitable. While we can benefit from sunlight as a source of vitamin D, sun exposure can come with a hefty price tag. The damaging effect of Ultraviolet and Gamma rays cause much of the skin damage that will cause our skin to wrinkle. Wrinkles first appear on the parts of our body that get the most sunlight exposure. This includes our face, neck, the back of our hands and the tops of our forearms. Our faces are one of the most vulnerable spots for aging, especially if you haven’t always been religious about wearing sunscreen. Fair-skinned people are more susceptible to sun damage and should be the most cautious about sun exposure. There are so many other factors that can lead to premature wrinkling. These can include genetic factors and personal choices you’ve made over the course of your life. Smoking, for instance, is proven to cause premature wrinkling, so if you haven’t already quit the habit, you’d be well served to do so. While it’s likely that you already know the cancer-causing side effects of smoking, you may not know that you aren’t just causing damage internally. Smoking can take a heavy toll on the way you look and how quickly you age as well. If you haven’t already quit the habit, it’s time to give it a second thought. Quitting now can add years to your life and reduce future damage to your skin. Over time, laugh lines and wrinkles on forehead become deeper and more visible. We begin to worry that the people around us have noticed them too. Sometimes the biggest wakeup call comes when we are faced with an old photo of ourselves. Comparing the state of our skin to the way it once was can make for a pretty stark reality check. Fortunately, there are several ways to minimize the appearance of wrinkles. Read on to learn more about some of the most effective anti-aging treatments. Once you’re informed, you can begin a treatment regimen designed to aid you in reversing the signs of aging. If you’re in your 30s and haven’t yet experienced the more advanced signs of aging, you may opt to start with a peel. Glycolic acid peels are treatments that cause a superficial peeling in the epidermis. This effect can help to reduce the visibility of fine wrinkles. Deeper furrows may require a treatment that can penetrate deeper into the skin. Deeper peels use ingredients like salicylic acid and trichloroacetic acid which can penetrate deep. These treatments may result in some discomfort and may even require some time off work. More aggressive peels can result in redness of the skin that may take some time to fade. Dermabrasions are treatments that help to diminish the appearance of deeper scars and skin imperfections. It’s important that this procedure is conducted by someone who is skilled in dermabrasions to ensure an optimal outcome. Unlike the more commonly performed microdermabrasion treatment, this isn’t the sort of thing that can be performed at home. This process aims to smooth and repair uneven skin tone and can also be used to remove scars, age spots, stretch marks, and wrinkles on forehead . If you’re a candidate for laser resurfacing, plastic surgeons and skilled dermatologists may be able to use laser resurfacing treatments to help you reach your beauty goals. Laser resurfacing can stimulate the natural production of collagen in your face. This can result in skin that looks younger and more vibrant. Laser resurfacing removes layers of skin layer by layer. This process causes the skin to generate new skin cells during the healing process. The end result can give the recipient’s face a much tighter and youthful look. It eliminates fine lines and wrinkles in the process. Ultherapy is another non-invasive approach to wrinkle repair. Ultherapy uses ultrasound technology to plump and tighten skin on the face, neck, chin, and chest. Ultrasound therapy has been cleared by the FDA and is proven to reduce and eliminate forehead wrinkles. A one-size-fits-all approach just doesn’t work when it comes to faces. That’s why injectibles are such an asset for those considering cosmetic improvements. Read on to learn more about the variety of injectable option available today and how to pick the one that’s right for you. Baby Botox is a great place to start if you’re new to the world of cosmetic injectables. Baby Botox is a term given to a Botox treatment that uses a small number of units for maximum results. Baby Botox uses precision placement to inject the botulinum toxin into the most affected areas of the face. This can be a great place to start if you’re not sure how many units you need or if you’re looking to prevent future signs of aging. Two of the most popular injectables on the market are Botox and Dysport. Both serve to relax muscle movement in the area treated. Botox and Dysport are both examples of a botulinum toxin. These injections are typically available at a dermatologist office or a medspa, however, they should only be administered by a licensed professional. When injected, these magic serums serve to relax problematic muscles within the face. The muscles that should be treated during your injection treatment are ones responsible for creating wrinkled expression. For example, many muscles in your face contract when you smile, however, the ones around the eyes are often the ones responsible for the crow’s feet that accompany that smile. This will give the patient’s skin a smooth and natural appearance in the treatment area. Areas that aren’t treated will continue to move normally. While Botox has been a market leader for some time, Dysport is relatively new by comparison. Dysport is just as safe and effective as Botox, however, it’s still relatively new to the injectable market. Some users believe that they begin to see the results of Dysport appear sooner than they did with Botox treatment. However, much of the argument just comes down to personal preference and response. Talk to a skilled injector today to hear what they believe is best for your needs. There’s more than one kind of dermal filler on the market, if you’re in the market for wrinkle repair, you’ll want to get acquainted with the various fillers available. Fillers like Radiesse, Juvederm, and Restalyne are much thicker in consistency than products like Botox. These are used to plump the skin and target problem areas. They can also be used to enhance facial features and fill nasolabial folds. Filler use has revolutionized the world of cosmetic enhancements with new applications. Instead of invasive surgeries, some patients are opting for treatments that mimic the look of chin revision or even rhinoplasty. Because filler is so easy to manipulate, it’s potential for use is nearly infinite. Not all fillers are the same. Different dermal fillers come along with different price points and attributes. While most fillers are composed of an ingredient known as hyaluronic acid, some fillers come with a little something extra. Juvederm, for example, also offers products infused with lidocaine. These products are the ones identified as the “XC” formula and can be less painful than injections without the lidocaine additive. While dermal fillers aren’t a pain-free option, they can be one of the most effective anti-aging tools. Additionally, the medical provider will offer you a lidocaine numbing cream before your treatment. This cream will be applied directly to the skin and will help to numb the injection site. Once the lidocaine has been given time to properly numb the skin, the medical provider will begin to treat the affected areas. The procedure itself is quick and easy. Typical results last between 9 months and a year. While some people may feel opposed to filler because they’ve seen people who abuse filler, they don’t need to worry. To get the ‘over-done’ look, one must be actively choosing an ‘over-plumped’ look. This is not an indication of what you’ll receive from a normal dosage. In fact, many of the women who opt for this exaggerated look visit multiple doctors for repeated treatments. For every ‘over-done’ look you’ve noticed, there are likely dozens of people you’ll encounter that have used filler to achieve natural looking improvements. The only problem you’ll have is detecting just what they’ve had done and why they look so refreshed and well-rested! While television shows like “Keeping Up with the Kardashians” continue to dominate today’s pop culture, it’s easy to understand why so many people are opting to go under the knife. For those who are at war with wrinkles, the most common surgical procedures are facelifts and brow lifts. Plastic surgery isn’t for everyone, however. Permanently altering your face can be a scary process in itself. Because it’s so difficult to know exactly what your results will look like after surgery, it’s not always a wise choice. Further, it’s often hard to judge how well your body will respond to surgery. This could mean scaring or difficulties during the healing process. Television shows like “Botched” chronicle the journeys of those who have opted to go under the knife and end up with lackluster results. Plastic surgery may be right for some extreme cases, however, this controversial treatment people should be seen as a last resort. There are many less invasive alternatives that can offer a solution to skin related problems. Other alternative treatments such as the “liquid facelift” can provide many of the desirable effects of surgical treatments, without the risks. If you’re considering surgical options, it can be wise to evaluate your less invasive options first. Now that you know how to get rid of forehead wrinkles and other problematic signs of aging, it’s time to make the next move. If you’re ready to explore the anti-aging treatments available, you’ll want to contact our highly experienced medical provider. We will help you decide which of these treatments is best for your goals. In some cases, our skilled injector will recommend a combination of treatments personalized for your own unique needs. For more about these wrinkle reducing therapies and more, visit our blog. We’re here to help you obtain your best look and love what you see in the mirror again.